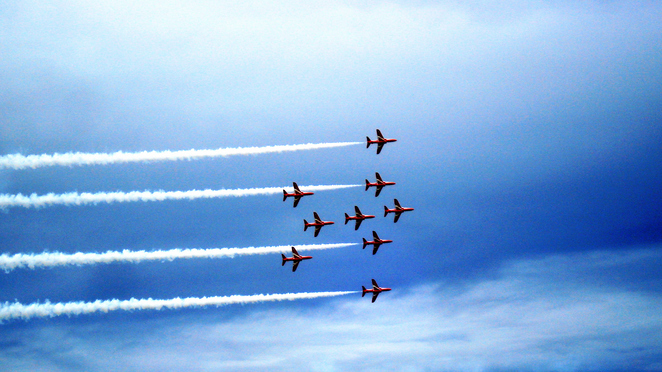 Whether you're an air enthusiast or just simply looking for a great day out with the kids, you're sure to enjoy this year's Sunderland International Airshow. Jam-packed with events on the ground and in the air, the Airshow runs from Friday 25th – Sunday 27th July with lots of activities such as music, fireworks, and fairground rides as well as displays from RAF Parachutists The Falcons and world-class solo aircraft aerobatics, wing-walkers and fly-pasts by display teams such as the Battle of Britain Memorial Flight and the famous RAF Red Arrows display team – which makes three appearances over the course of the weekend. Once again the Airshow is set to take over the long stretch of seafront at Seaburn and Roker, north of Sunderland City Centre with this FREE event suitable for all ages. 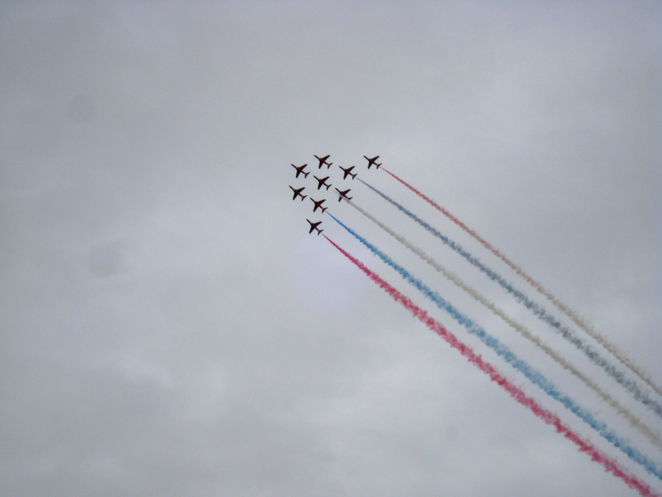 Now in its 26th year, the airshow is supported by Sunderland City Council and local businesses and attracts hundreds of thousands of visitors each year. The Airshow takes off on Friday evening at 6pm on the Recreation Area at Roker there will be an exciting Launch Party that includes live music from Them Beatles, The Shoehop Quartet and, singing a bunch of songs from the era of swing, will be an armed forces performer, all there to entertain you. There'll also be a visit from the RAF Red Arrows, who open the show, and a stunning Firwork display to close the evening . The field is taken over by exhibition tents and stalls with exhibits from Sunderland Volunteer Life Brigade, The RNLI, Help for Heroes, The Samsung UHD Lounge Tour, Sunderland College and two squadrons of the local Air Training Corps (ATC), to name just a few. Sunday 27th July 2014 - 12pm - 5.15pm. 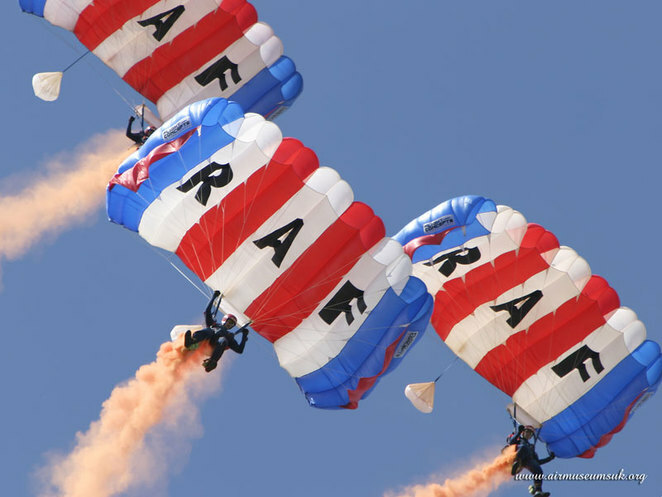 A full programme of aerial displays begins with an array of military and civilian escapades. RAF Tucano and Typhoon display teams will be there – air enthusiasts will know that the propeller driven Tucano is used for low level aerobatic displays and as a training aircraft to give pilots an opportunity to experience a wide range of aircraft while the Typhoon is the ultra-modern and sophisticated Eurofighter now used by the Royal Air Force. 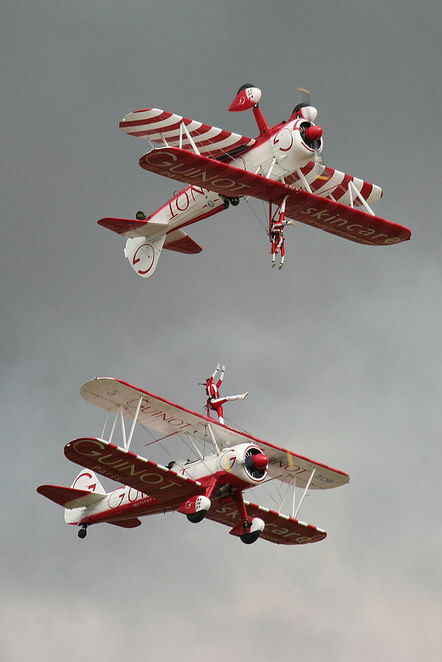 Stick around a while and you might see the Breitling Wing Walkers, Gerald Cooper Xtreme Air or The Blades Aerobatic Team. 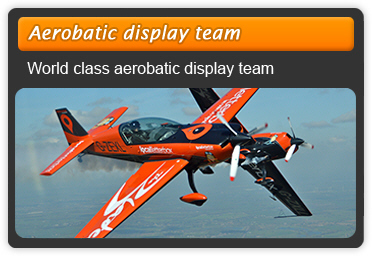 The Blades are the only civilian display team that not only performs demonstrations at public events but also offer bespoke experience packages to the general public who want to experience close formation flying and put a bit of zest in their lives. (I think I'll live without that one though). The extraordinary RAF Red Arrows closes the show on Saturday 26th and opens the proceeding the following day on Sunday 27th July so keep a look out over the North East skies the weekend, you're bound to catch them sometime, especially if you live near the flight path from Newcastle Airport, which once again hosts the event in terms of air traffic control and landings. Prgrammes will be on sale during the airshow giving a full run-down of the displays and exhibitions and the timings of individual aircraft performances – particularly useful if you're coming to see a particular plane. With regard to transport arrangements – the nearest Tyne & Wear Metro station is at Seaburn about a 15 minute walk away. Some road closures will be in effect and Park and Ride schemes will be in operation and are clearly marked on all the major entrance roads to the city. Buses that usually have routes along the A183 Coast Road (Seaburn Seafront) often change their timetable to accommodate the mass movement of people so may not complete the full route but empty and pick up at a seafront location on a fill-up-and-go pattern. Check it out before you go. With this the biggest event on the Sunderland calendar each year, the Seaburn seafron has also undergone an award-winning transformation with the first phase of its regeneration now completed. As someone who notices this sort of thing, I'm looking forward to seeing it. Having brought up two sons and having a hubby that loves this sort of stuff too, I had to get used to talking about things like planes, trains and automobiles so while the lads are reliving their childhood - I'm looking forward to seeing Them Beatles.